Always though that "No rebounds, no rings" saying from Pat Riley was silly. "No Points, No Rings" makes more sense in literal terms than it does using rebounds, because you can rebound every single miss shot, but if you can't score a single point, you can't win. It's like Riley was trying to come up with his own inspirational saying. He should've just used "You miss 100% of the shots you don't take." Cavs actually outrebounded the Warriors 186 - 160 but still lost and got swept. I'm still confused as to who our starting center is. McGee? Zubac? If I had to guess? They'll start with Wagner otherwise McGee. Technically, they've said all spots are open except for LeBron's, but I expect for it to be McGee. even with excellent rebounding guards and forwards you still need atleast one guy who will bang down load and box off others at the rim. Why would that be a concern? The Lakers were a great shooting team over the last 2/3 of the season. Lonzo and KCP tanked the percentages hard in the early 1/3. Yeah, its hard for me to say because I dont know how ready wagner is. But if they think he is ready, I expect him to start because of his spacing. Rebounding is the least of my concerns with this squad. We have some of the best rebounding guards in the game. Rondo, Hart, Stephenson, Ball and KCP are all great rebounders and quick to the ball. Clarkson, Ennis and IT are off the team and were poor rebounders for their position. Clear upgrade from this year to last. Kuz and BI return to the team with additional strength and mass. Hopefully that will increase their rebound rate. Lebron replaces Randle which may be closer to a wash with LB as a power forward. McGee and Zubac will probably combine for 2/3 of the center minutes until Mo is ready. They both almost double Brooks rebound rate and are much quicker to the ball (yes, even Zubac). I get that Brook blocks out but he is so slow off the ground and his reaction to the ball is even slower. Clear upgrade in my opinion. I don't think LeBron pulled as much gravity, especially considering with the rebounders he had on his team, Cleveland as a whole wasn't even a great rebounding team. It's not just Julius' tremendous rebounding rate. It's also Brook making it easier for the Laker guards to get boards without having to box out. None of the new acquisitions are those types of player. It's not like LeBron is going to box out guys for the other Laker guards to get boards. He gets them by reach as well. I'm just not surprised that not only did the Lakers make a massive leap in defense last season, but they were elite as a rebounding team. People keep saying Brook is glacial, but he was also immovable. You're looking at the individuals getting the rebounds and translating it to numbers. But looking past that, I don't care *who* gets the rebounds, but *how*, which is what made the Lakers an elite rebounding team, despite only having only 1 elite league rebounder compared to the rest of the NBA. You said it yourself. The perimeter players themselves had double digit rebounding games. Think about *how* they were able to do it, because it wasn't by themselves. That's my point. They're all going to look good when there's two strong rebounders, one that actually goes out to get them (Randle) and another that keeps defenders off the backboard (Lopez). LeBron isn't that guy. Neither is McGee, Rondo, or Stephenson. I'm not surprised when Stephenson has his best rebounding years playing next to Roy Hibbert or Sabonis. McGee? Tremendous rebounding rate in limited minutes. His best years rebounding were in Washington. How good was Washington in terms of rebounding in those years? Total rebound ranks: #16, #15, #20. 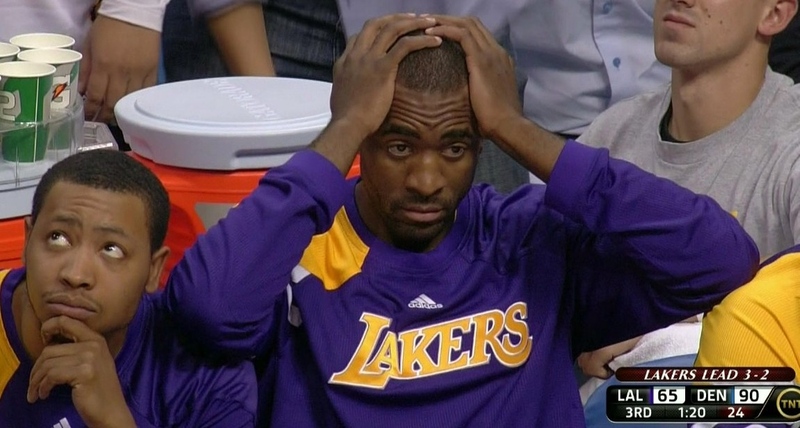 When McGee was gone and Nene got the PT, #9. When McGee went to Denver, who did the boxing out? Nene to start the season (before trade), Kenneth Faried, and Mozgov. Denver ended #8 in the league in total rebounds. Rondo? He had Cousins, Portis, Taj Gibson, and other dudes that would do the boxing out for him. The one exception year was when he was in Dallas next to Tyson Chandler. The rest of the other teams? They may be awful, but they were all Top 10 total rebounding teams. My point? The individual rebounding numbers don't matter to me. What does matter to me is the team rebounding advantage over the other team. I think all of the Rondo, Lonzo, KCP, Hart, Stephenson numbers are skewed because there was at least 1 or 2 dudes to keep bigs off their back as they chased boards. LeBron had at least 2 Top 10 rebounding teams of the previous 3 years with Cleveland. He also had Kevin Love, Tristan to box out, even Mozzy. 3 guys with total rebounding percentages from 14% to 18%, and that's before getting to LeBron. That is legit. Teams like GSW have the luxury of outscoring their rebounding needs. LeBron had ridiculous efficiency during his MIA years to make up for the rebounding issues. Pace can fix it a bit, shooting can fix it a lot. 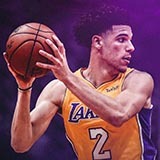 Last year's Laker team was #1 in pace with Lonzo playing, and floated between #1 and #2 in total rebounding/defensive rebounding. We had both. I don't expect the same next year. LAL basically replaced the box out/physical guys with a bunch of dudes that get between 8% to 13% rebounding rates, but now there isn't anyone to get bigs off their back. In the end, it doesn't matter unless you think we can win a title this year. We have $36-38 mil in cap space next year (provided we get rid of all our 1 year contracts). That means next year, we're going to be a bare bones team again. So we're going to have a totally new roster next year anyways. No need to worry so much about the current roster (outside of the few that are going to still be on the roster next year). I knew what you were saying Mike. But I think you believe these guys on the lakers team(the youth) were rebounding like that due to lopez and randle keeping bodies on their men. thats not why they were grabbing most of those boards. They were getting them because they are rebounding perimeter players. there's a difference between you just being a quick guard that will scurry to the long ball or sneak in after your bigs do the hard work. thats not what you saw most games. most games you saw kcp out jumping people to snag those boards. you saw zo actually boxing out other BIGs. i stated this in many threads when it happened. I said oh, this kid actually was a big man at some point in his high school career, which is why he knows how to box out properly as a guard. Josh hart the same thing. he boxes out and gets in good position to board. most guards/perimeter guys dont do that. So in reality we have multiple elite rebounders, they are just not bigs. lebron and randle are the same as far as boards are concerned. if you take away all bigs from bron and take away all bigs from randle and make bron and randle play center vs the entire league. they would both average approx the same number of rebounds. thats why these two dudes are a wash. I've seen bron actually box his man out. not just run up and snag a board because tristan and Klove did the hard work. sure that happens at times too. but thats not the main reason for the rebounds. and sorry i can't give lopez that much credit. i've watched brook since his nets days. I aint buying it. lopez is a bad rebounder by choice. not because he's instructed to box his man out and let the others get it or not because thats his strategy. there are a lot of times where he doesnt even box out. There is no excuse for a man his size to not average double digit rebounds his entire career. NON. and if you want to know how did the littles end up with the rebound. Well it was mostly due to our fast pace. meaning the scouting report was out. " You better get back on the lakers or else they will score on you quickly." this means most teams were conceding those boards to hurry up and get back. sure they would send one master boarder to go get it. but if he couldnt get to it. everyone else GET BACK. and lopez nor randle were locking those guys out of the rebs. Zo and the smalls were going to get those boards on their own a lot of times. as you know that helps speed up the offense when the guy snagging it is also the guy that can pass the best and has some of the best foot speed. around the 0:54 spot. watch zo. thats a real box out. guards dont do that. guards slip in there and sometimes out quick the bigs but they rarely attempt to actually box out and fight with real bigs. he sees himself as a big man because he use to be one in his high school days on defense. he said so himself. this is also why he blocks shots like he does. I know this because thats how i was groomed. I just never had the luck to actually grow to become 6'6 to 6'7. I stopped around 6'2ish. But since i was growing so quickly as a kid everyone ASSUMED i was going to be 6'6+. and i was taller than a lot of kids and i could jump high so they made me play center/pf a lot more than a normal 6'2 kid should have. but doing that made me a big man in a small man's body. I can box out and fight with bigs. its normal to me even at my height. when facing real bigs 6'9+ dudes. doesnt matter. i'm a big man in the mind because thats what i was trained to be early on. You usually see this with guys that were always tall growing up. the late growth spurt guys usually keep their handles and play like small guys even though they are big. lastly in regards to zo. notice, when he penetrates and kicks. He doesnt keep going to end up back outside at the 3pt line all the time like most guards do. he stops in the paint where he made the kick out and starts to box out. again, this aint normal mike. thats a true to life rebounder. If zo was 6'10 he would be an elite rebounder. which means he's elite right now at his position. your pg has no business snagging multiple double digit boards during the season while averaging 7 per. unless he's a boarder. Simple question, how well was the team rebounding for the other teams that Brook Lopez was on? Just going by recollection I think the Lakers were probably the best rebounding team that Brook Lopez was on, and he did not even play that many minutes for us compared to when he was in his prime. I tend to think Lopez mainly helped Randle on the rebounds inside the key. Our guards were not just picking up freebies - they were boxing out as a team (and the good rebounding guards are still on the team). In fact on a lot of the switches where Randle got a lot of accolades, he was on the perimeter and it was the guards who were contending with the bigs and getting the rebounds. It would be a different story if Randle was consistently forcing misses out on the perimeter, but the guards were getting overpowered inside and we give up put backs and chippies inside. even that batch of guys that played with Brook on the nets that were good rebounders were rebounders not due to him but due to themselves. These guys were rebounders in college and on other pro teams. brook is not granting all of our perimeter guys an extra 2 boards a piece. thats kind of what mike is eluding to unless i'm mistaken. Which is why my conclusion still stands. we didnt lose a thing by losing randle and lopez since we gained bron, Javale, Lance, and rondo. Truth is, it makes sense when you think about our strategy on offense and defense like you've just stated above. If we're going to switch everything, and we want our rebounders to board and push. Then we know that the bigs a lot of times will be out on the perimeter on a bad switch trying to deal with some PG, while our small guys will be closer to the paint trying to stop the roll guy. The moment that shot goes up. We want to grab the board and push it and look for an open man to hit for a quick fast break. the best passer in that situation are guys who are good at passing. not necessarily big men. There are no better passers than your pgs off the rebound like zo and rondo. which is why you kind of want them down there to snag and push. if you get a big guy thats a great rebounder. 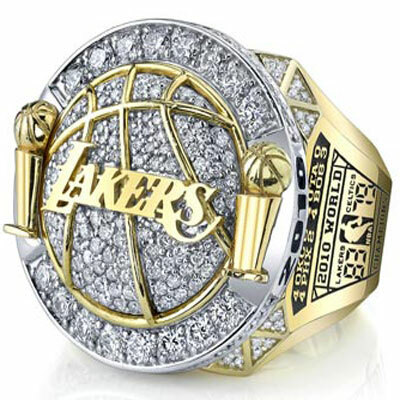 he will have to snag it, turn, wait for the guard to come get it, then that guard will have to push it up the court. there is a slight second or so delay doing it that normal way. Luke and crew thinks we need that split second to catch the defenses off guard. This is why you make sure as a FO to get big guards/strong guards/athletic guards/ and guards that know how and naturally box out when in the paint...dudes that are hungry for a rebound. Who would know these type of guards/perimeter guys better than magic himself. the man who almost invented board and push. i dont think rebounding is a problem at all for this team. i only wish rebounding was the problem. lol. they are not starting Mo wags. stop it ring. Mcgee is the starter unless Zu clearly hot plays him in practice. then he will be Zu's backup. wont matter, Mcgee can't play heavy mins. So Zu will have a lot of mins to get. now if Zu aint ready for heavy mins then those mins will be dispersed more for Mo Wag, and the small ball center lineups. beasley, bron, etc. our #1 issue will be freethrows. since thats the easiest thing to fix but thats 100% mental. so as easy as it is, its super hard because its inside guy's heads. You can fix a mechanical problem, but its much harder to fix a psychological problem. There are lots of theories about why players miss free throws, but no one knows for sure. Studies indicate that the mechanical reasons that players miss free throws vary wildly from player to player. Some people feel the reason is that free throw shooting isn't really valued so players spend little time on it. On a professional level, there isn't any correlation between how much a player earns and his free throw percentage so players tend to minimize it in practice compared to other things that are more highly valued. Some people feel the reason might be related to the physical structure of poor free throw shooters. Some feel there are psychological factors. I am sure that plays a big role, but I wouldn't say it's anywhere close to 100% of the reason. My guess, when it comes to bad free throw shooters, there are probably several factors at work, which is why it's not an easy fix.